Siobhan wished for her wedding band to be traditional but with a twist and this ring is the beautiful result -the18ct white gold band is approx 4mm wide with a single 1.5mm recycled brilliant cut diamond set within a organic channel detailing, David opted for a plain simple band also made in Fairtrade Fairmined gold. 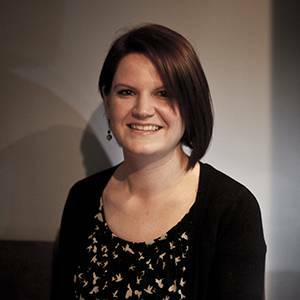 Laura's bespoke channel set diamond wedding ring. 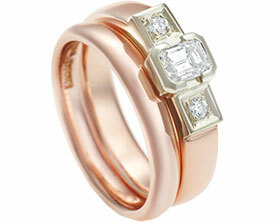 Delicate 18ct yellow gold and diamond open ring. 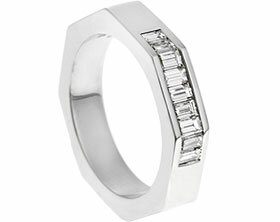 Amanda's fitted 18ct white gold, rhodium plated, diamond wedding ring. 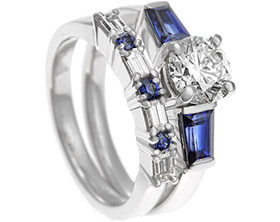 Louise wanted a wedding ring with a touch of sparkle. Bespoke pair of unusual wedding rings. Bespoke ladies palladium wedding band with engraving. A pair of 9ctgold wedding bands. Bespoke platinum ladies fitted wedding ring and 9ct rose gents wedding band. 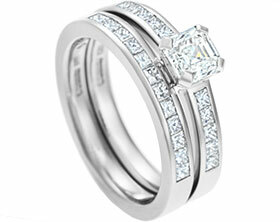 Bespoke platinum and diamond shaped wedding band. 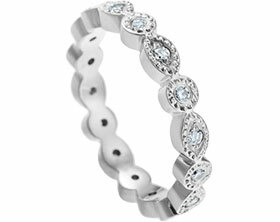 Palladium wedding band withceltic knot detail. 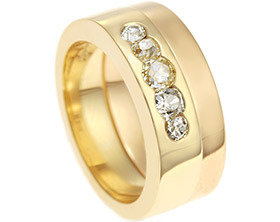 Bespoke 9ct yellow gold ladies fitted wedding ring. 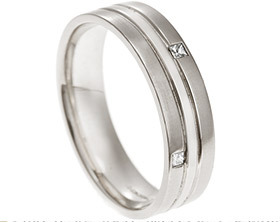 9ct white gold wedding band with rhodium plating with an apex finish and two 1.5mm brilliant cut H Si diamonds 0.03ct. 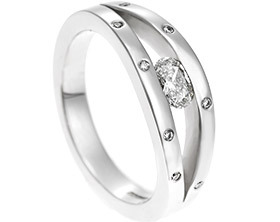 9ct white gold wedding band with a 1mm 0.1ct invisibly set brilliant cut diamond , engraved line detail with a pinmop finish. Bespoke 9ct white gold fitted wedding band with engraved line detail and a 1.5mm brilliant cut H SI invisibly set diamond 0.03ct, with polished and rhodium plated finish. 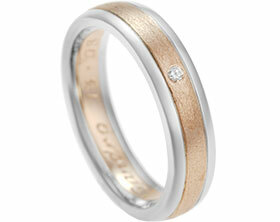 Bespoke 9ct yellow gold and diamond wedding ring. Pair of bespoke 18ct gold wedding rings with engraved waves. 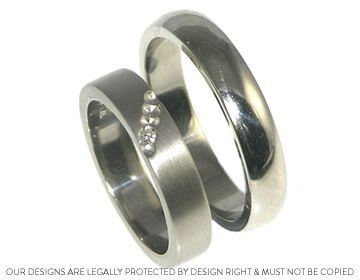 Pair of commissioned white gold wedding bands. 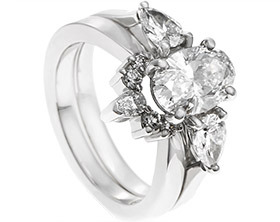 9ct white gold wedding ring with star set diamonds. 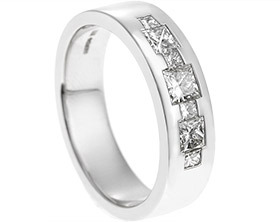 Bespoke heavy white gold wedding band with diamonds.